On a crowded street corner, the ring of a pay phone cuts through the icy winds. A figure appears in a third-story window across the way. Vigilant, he watches with the focused eyes of a savage hunter. Patient, he waits with the resolve of a bloodthirsty predator. A cordless phone's handset pressed to his ear... And a bloodstained hacksaw clenched in his free hand. From the author of OPEN WOUNDS and THE FINAL GIRL comes a horrifying journey through the mind of a ruthless killer. Called "Disturbing, bloody, and vicious" by Dread Central and "Truly terrifying" by Bloodtype Online, you'll read with trembling hands, bated breath, and a racing heart. 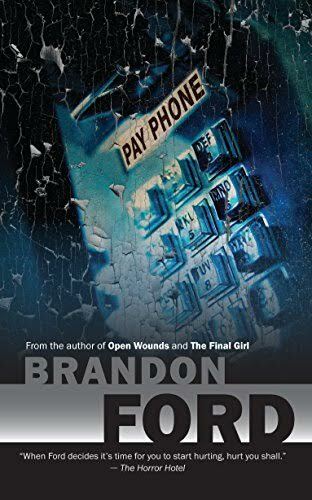 This newly revised edition of PAY PHONE contains previously unpublished material, including a brand new introduction by the author.